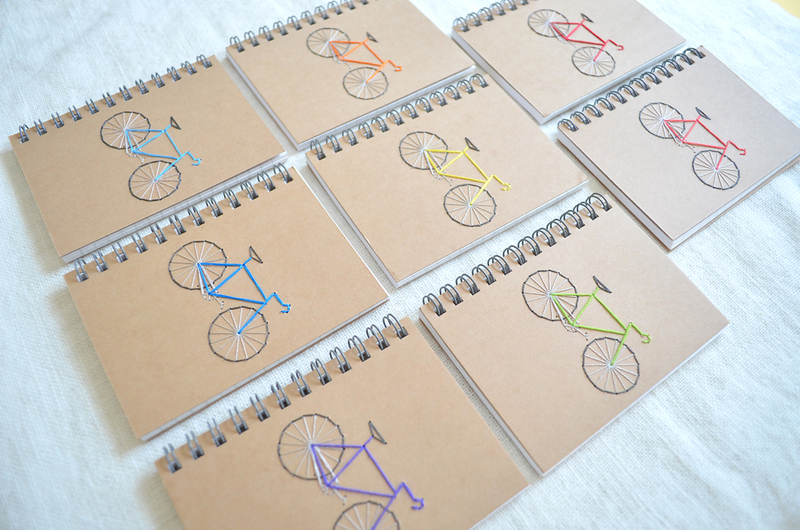 By far, the best selling item in the shop are the bike mini-notebooks. I expanded the line for the holiday season, adding four more colors. They’re a great stocking stuffer, but be warned…I’m close to selling out for the holiday season! I’m running out of notebooks and certain colors of thread and won’t be able to resupply before Christmas. So if you’re interested, buy quickly!